Relive the splendour and luxury of aristocratic life in Russia during the Romanov dynasty with Romanov Riches, the latest release by Microgaming. With its golden lustre, rich purple background, more diamonds and jewels than you can count, and its abundance of Mystery Stacks, Re-spins, and Wheel Bonuses, Romanov Riches is here to dazzle you with its brilliance. We can’t forget about the cash prizes and multipliers, with potential wins of up to 1,000 times your initial stake. Romanov Riches is a 5-reel, 3-row video slot with 15 paylines. Feel free to check out the demo version or play for real money with bets starting from as little as € 0.2 to € 100 a spin. 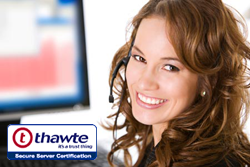 The RTP is 96.08%. In Romanov Riches, the aim of the game is to collect gems in order to get your rewards. There are also large Mystery Stacks waiting to be discovered, as well as 3 Wheel Bonus features that are waiting for you. Not to mention the free Re-spins which are available in the game, as well as multipliers which can up your wins by 1,000 times your stake! Players can find large Mystery Stacks placed on every reel and which can be replaced by a single symbol, that then gives out free Re-spins for even bigger wins. With each spin, the same symbol takes the place of the two Mystery Stacks on the far left, which can then result in some nice big wins. The Mystery Stacks which are left can also be replaced by different symbols, and this also includes the Bonus symbol. Within Romanov Riches, matching a full symbol stack in the Mystery Stacks feature can then set the Re-spin feature into action. For this to be triggered, the full symbol stack must land on 2 to 4 reels side by side to each other, and must start from reel 1. The triggering stacks will then lock in place while the other reels re-spin. If the Mystery Stacks change to match the triggering stacks another Re-spin is awarded. If all 5 reels display the Mystery Stacks symbol, a win of 750 times your stake could be possible! Romanov Riches also makes use of 3 Wheel Bonus features which are accessible when full stacks of Bonus symbols land on the very first reel of the game. 3, 4, or 5 Bonus stacks will reward you with 1, 2, or 3 Bonus Wheels respectively. Wheels 1 and 2 have cash prizes up for grabs, while Wheel 3 offers a multiplier of up to 10x that is applied to the winnings from Wheels 1 and 2. A total of 1,000x your initial stake can be won! Romanov Riches consists of 9 regular symbols with the 10, J, Q, K making up the lower value symbols. The lowest of these symbols is the J and Q, and both offer 250 coins as their highest denomination. The K and A each offer 750 coins as their highest payout. The high value symbols consist of the 4 Romanov Gems, with ruby red, deep purple, bright blue, and emerald green colours glittering on the reels. The red and purple gems are on the lower end of the spectrum, with each gem offering 1,250 coins as their highest payout. The blue and green gems are the ones to look out for, with each gem offering a whopping 4,000 coins as their highest payout. This means that each of those two gems can give four times your initial stake for five of a kind, which is a truly amazing feature of this slot. The Wild symbol is represented by a glittering snowflake and is the highest value symbol in the game and can replace all other symbols on the reels. The snowflake appears stacked on the reels just like the other symbols do which means that wild symbols can appear fully stacked all over the reels with a combined win of 750 times your initial stake! Romanov Riches lives up to its name as the look and feel of this slot simply exudes opulence and wealth. With its use of glittering gems on the reels, shiny golden lettering and deep purple background, you will feel as if you are in the House of Romanov itself. Diamonds, pearls and other expensive jewellery grace the background and the reels are surrounded in an opulent purple and gold frame. The soundtrack only adds to the elegant feel of this slot, with its graceful notes slowly playing during the game. The graphics have been well thought out and make gameplay enjoyable for any kind of player. 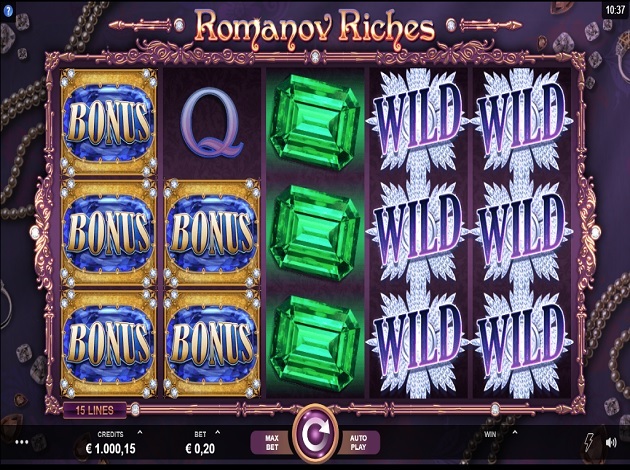 If you are a player who enjoys the finer things in life you shall be delighted by Romanov Riches, as it is a video slot which looks great on the outset, with its bright and shiny gems and sparkling diamonds. Once you start playing, players will discover a multitude of great features to enjoy, such as the Mystery Stacks, Re-Spin feature, as well as the 3 Wheel Bonuses which are waiting to fill up your reels and reward you with riches. With a 1000x max win potential, Romanov Riches will certainly attract you, and will delight you with its engaging gameplay, special features, great graphics, and overall pleasing user experience. Romanov Riches certainly deserves a spin!